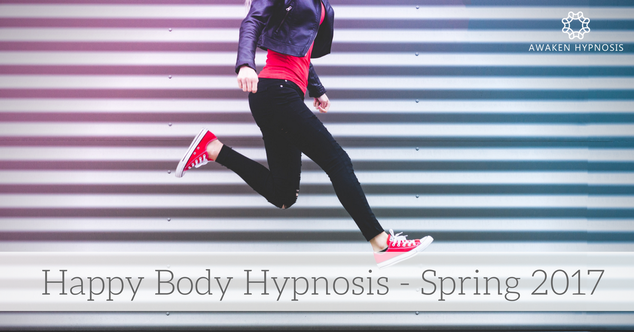 Spring clean your body with Hypnosis, support, motivation and inspiration! Spring is here in Launceston, so it’s time to think about feeling good in your body. Do you want to eat more healthily, move more and feel comfortable and confident in your body? Whatever your goals, this is the feel-good way to kick-start your healthy journey! You will be part of a small group of like minded people, cheering each other on. TWO very relaxing 90 minute hypnosis workshops in Launceston, Tasmania. Personal support from me (Louise White) as needed during the programme. The programme runs over 4 weeks. It starts on Wednesday 18th October (when the Facebook Group opens) and finishes on Wednesday 15th November. The Hypnosis workshops will be held from 1-2.30pm on Sunday 22nd October and Sunday 12th Nov.
Click to book your spot - space is limited! To book your space in the programme, click the button below. Select the class called 'Happy Body Hypnosis' on Sunday 22nd October. Once you have enrolled on that date, I will enrol you on the second date, Sunday 12th November. You will receive email confirmation of both workshop enrolments within 24 hours. Make sure you enter your correct email address and mobile phone number, so that you receive your confirmation emails and reminder texts. Thanks Louise, I've dropped 8kg since I've seen you one on one. I was doing the low carb, and after seeing you one on one, I had no trouble what so ever giving up things, my favourite Sweet Chili sour cream chips which I would have at least twice a week, I have eaten them once... It felt bizarre. Still the craving is not there... Magic! I attended a group session on Transform Your Body & Feel Great with Louise, which I found extremely helpful and I felt motivated. Also her after session assistance has been excellent with follow up emails and recordings that I use daily to reinforce. I must say. I haven't eaten chocolate since before the workshop. Even though there was choc biscuits and chocolate cake in the tea room at work yesterday I didn't have any desire for it. I work where there is a lot of Easter eggs too. The exercise part I still have to work on. But not having to have an antacid in 4 days is a win for me. Very relaxing. I was nervous beforehand but felt very comfortable. Nice environment. Having a very productive day today thanks Louise. I really loved the workshop yesterday..... thankyou. Feeling positive and motivated - thank you - awesome experience. In the six weeks since your workshop I've quit my four can a day Pepsi habit completely, and I've lost 19cm. Thank you! Thank you for the wonderful session today. I got a lot out of it and hope this lovely relaxed feeling lasts a little while longer. Thank you so much for today! I didn't get a chance to catch you before I left. I certainly feel relaxed and am looking forward to continuing at home with the downloads. I have been very satisfied with 3 meals a day, I am not picking in between meals at all and my portion sizes are much more under control, best of all I am not ever feeling deprived or that I am on a "diet" I have lost 7 kilos, my clothes loose, I have gone down to a size 14 but best of all is not puffing and my hip and knee much improved walking the golf course. 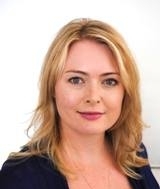 A little about Louise White, Clinical Hypnotherapist, Awaken Hypnosis & Coaching, Launceston. I’m Louise White, a Clinical Hypnotherapist, but my clients think of me as a hypnotist, a motivator and a really good listener. I help people who dream about being healthy and happy but who feel trapped by work, anxiety, bad habits or poor health. I use my hypnotherapy skills to help clients feel positive and motivated so they can change their lives for the better in many different ways! I know from many years experience that it can be hard to change a bad habit or negative thought all by yourself. That’s why I’m here. To give you the motivation and willpower you need to change all or even just part of your life. The fact that the hypnosis is really really relaxing is just an added bonus! I’m a Certified Clinical Hypnotherapist, trained and experienced in San Diego, California (but local to Launceston), I also have a Bachelor of Arts (Hons) in Philosophy and a Grad Cert in Communication. I've lived and worked in Launceston, Sydney, London & Portsmouth (UK) and San Diego (USA).